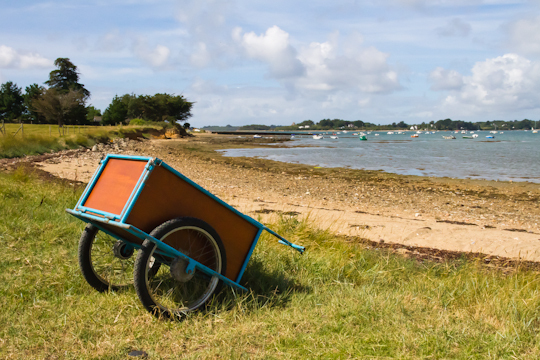 As promised, over the next two months I will post a series of ideas for day hikes in Brittany’s southern department, the Morbihan. The hike on Île d’Arz, described below, is the perfect complement to the hike I described in my post of late July on Île-aux-Moines. 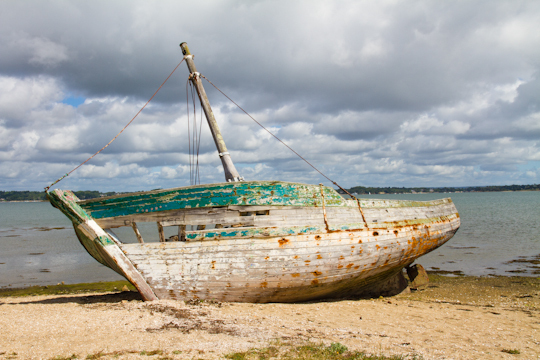 Île d’Arz, in the Gulf of Morbihan on Brittany’s southern coast is just minutes from the mainland, but with its windswept beaches, year-round population under 300 residents and its relatively infrequent ferry access, it truly feels a world away. I had visited Île-aux-Moines twice in the previous week and expected Île d’Arz to be similar. Geologically, there were once one single island that broke into two. But although the two islands, at their closest point, are just a kilometer or so apart, each island has a very different feel, both in terms of landscape and culture. 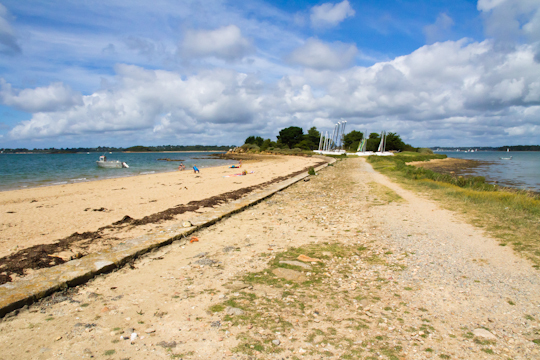 While Île-aux-Moines is accessible by a ferry from Port Blanc (Baden) that leaves every 15 minutes in the summer and takes just 5 short minutes, Île d’Arz has fewer ferries (just two from Port Blanc each day), and the comparative seclusiveness is immediately tangible. 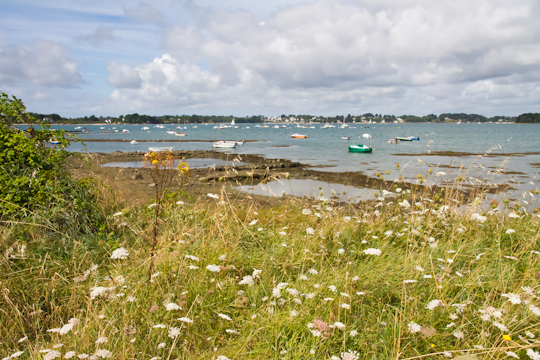 Similarly, even once you arrive on Île d’Arz, the you must work a bit to find the main town (“Le Bourg”), several kilometers from the port, in the center of the island. Île-aux-Moines is relatively hilly. In comparison, Île d’Arz is nearly flat. It is windier and has much lower-growing vegetation. The beaches are beautiful and the island is a paradise for sailors and windsurfers. One similarity between the two islands is that each has a beautiful coastal path of about 17 kilometers or 4 hours around. You could shorten the Île d’Arz route by about an hour if need be by skipping the peninsula in the northeast of the island. Most of the path is well-marked. 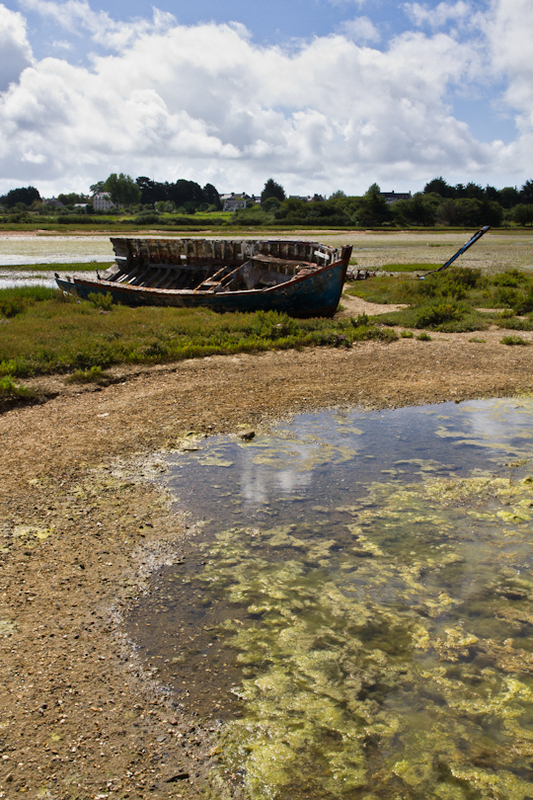 Île d’Arz’s main town is small but offers a handful of tempting restaurants and cafés. (There are also a couple of spots to grab a bite or a drink at the port). 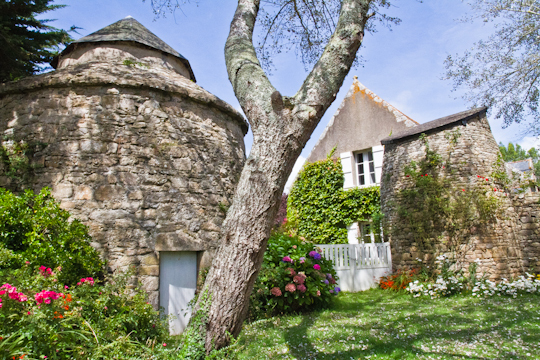 Although a visit to the town requires a small (5-minute each way) detour off the coastal path, it is well worth the extra steps as Le Bourg is about as pretty a village as you are going to find in Brittany. Izenah Croisières runs ferries to Île d’Arz from Port Blanc (in the commune of Baden, about 15 kilometers south of Auray). There is plenty of free parking at Port Blanc, but if you do not have a car, there is bus service from Auray and from Vannes (which both have TGV stations). 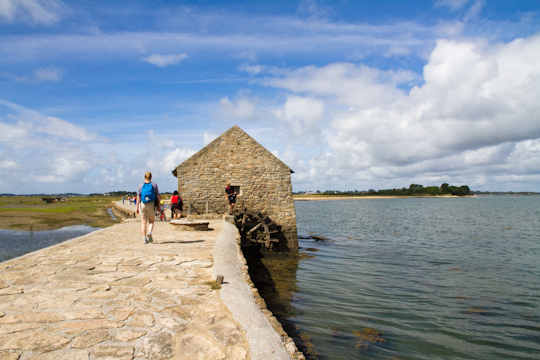 From April to September, you can choose among options including a direct round-trip 20-minute ferry that leaves you on Île d’Arz for either 3 or 7 hours, a visit to the island that includes a 2-hour tour of the Gulf by boat before or after, and a visit to both L’Île d’Arz and Île-aux-Moines in one day. Time permitting, I would recommend a full day on each island, so you can walk the full perimeter of each island and also enjoy the beaches and one of the local restaurants or cafés. 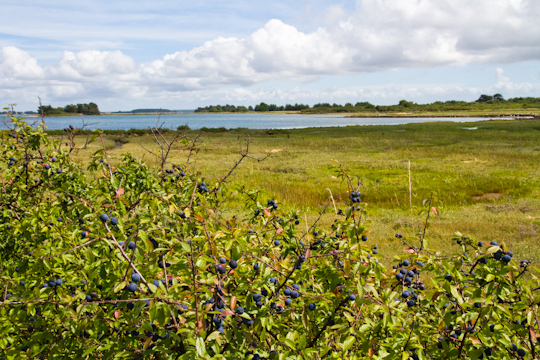 For a longer hike (3-4 days) and that does not require a car, combine a visit to L’Île d’Arz and/or Île-aux-Moines with a hike on the GR 34 (see my post on hiking from Auray to Vannes).